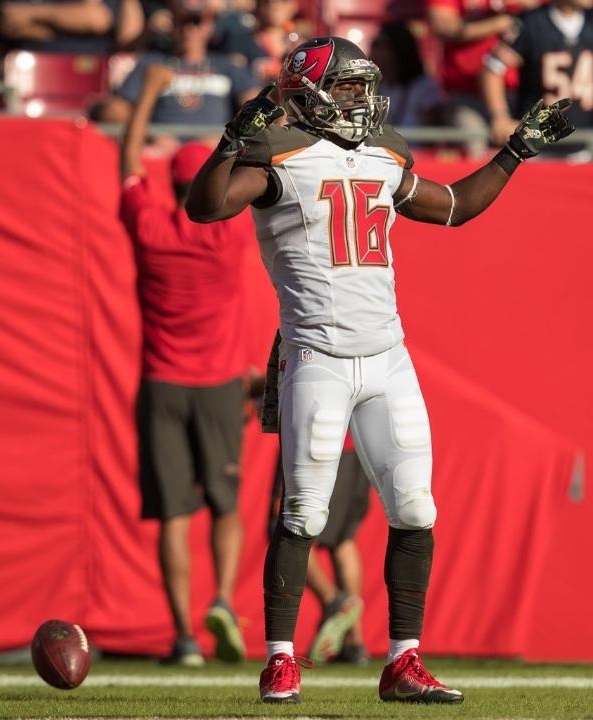 Amazingly only five players have worn his number in the regular season for the Buccaneers, two of whom did so briefly in 2009. There are a few other numbers that have been worn as infrequently as this, and one of course that has only been by one person but that is for later in this series. 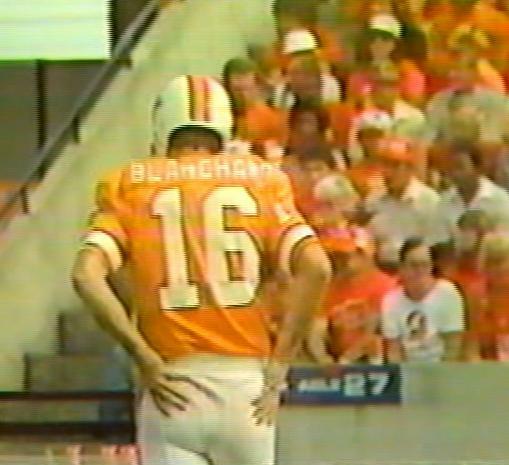 Tom Blanchard was an experienced NFL punter who was obtained from New Orleans before the 1979 season after incumbent Dave Green sustained an injury that would ultimately signal the end of his NFL career. 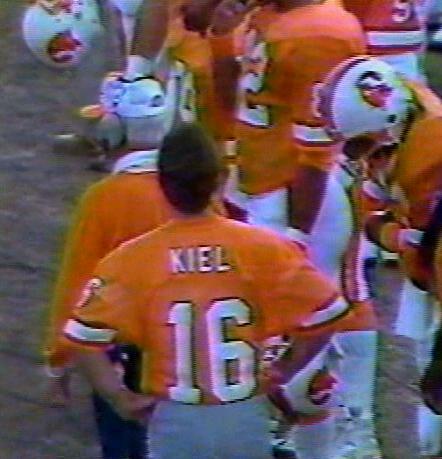 The next player to have worn No.16 was former friend of a young Jon Gruden, QB Blair Kiel. 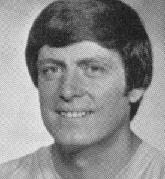 The former Notre Dame passer saw brief action in 1984 behind Jack Thompson and Steve DeBerg and also went on to play briefly in Green Bay after leaving Tampa. 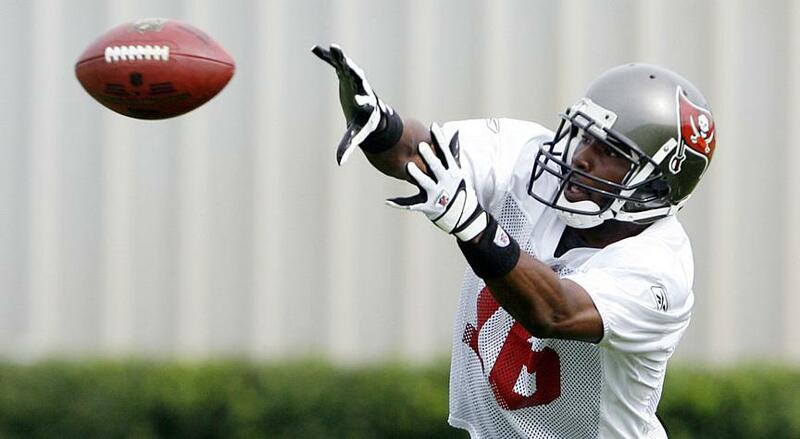 Yamon Figurs will always be associated with my NFL Films game commentary on the 2009 International Series game at Wembley as I confused him with Sammie Stroughter who had been returning kicks all day until the moment when I replaced Gene Deckerhoff on the mike. Freddie Martino took over the jersey in 2016 and saw limited action over the next three seasons wearing it.